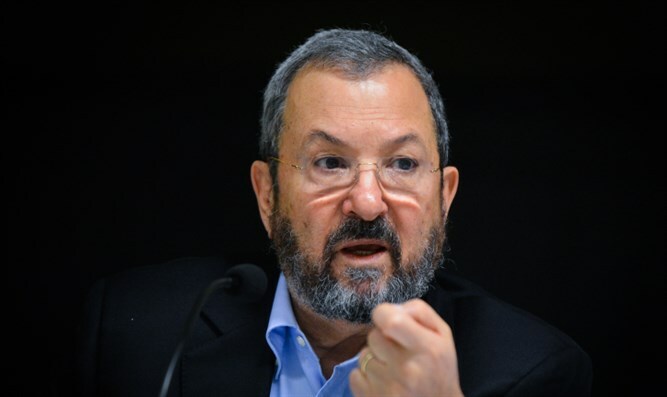 Left-wing MKs slam Ehud Barak for 'undermining foundations of democracy', call former PM's recent statements 'dangerous'. Left-wing MKs slammed former Prime Minister Ehud Barak Thursday, after he said that Prime Minister Binyamin Netanyahu's policies would eventually lead to a situation in which senior army and Shin Bet security service personnel would be forced to refuse orders. "Barak's statement undermines the foundations of democracy and is no less dangerous than all the anti-democratic laws that the right promotes in the Knesset," said Zionist Union MK Amir Peretz. "Laws can be annulled, but such statements are liable to sow anarchy within the ranks of the IDF." "What will we say when religious soldiers refuse to obey a government order to evacuate settlers?" asked Peretz. "What will we say when they say that they prefer halachic rulings over IDF orders? Barak is sowing anarchy and we must condemn it strongly". MK Elazar Stern (Yesh Atid), himself a former general, also criticized Barak over his recent comments. "It hurts me to hear the statements of Ehud Barak, who is a former IDF Chief of Staff, defense minister, and prime minister. Refusing orders must not become an instrument in the political arena on any side," said Stern. Barak had warned at the opening event of the third annual Banana Festival in the Jordan Valley Thursday that Netanyahu's policies vis-a-vis Judea and Samaria will result in a bi-national state. "An attempt to implement the one-state agenda will cause the Supreme Court to throw out [Netanyahu's policies] at each and every juncture, and declare them unconstitutional," alleged Barak. "Hundreds of thousands of civilians will take to the streets to physically block it from happening, and the free media will consider it a disgrace and never allow it pass," he added. "This government is leading a nationalist agenda that replaces the agenda of Zionism and healthy nationalism" continued Barak. "In this backward nationalism, we use existential threats from the outside and traitors from within in order to incite and divide, to instill internal hatred in order to ensure our existence. Bibi specializes in this - in creating the Hitler of the year or of the week. Every time there is a new Hitler who threatens us with a new Holocaust."